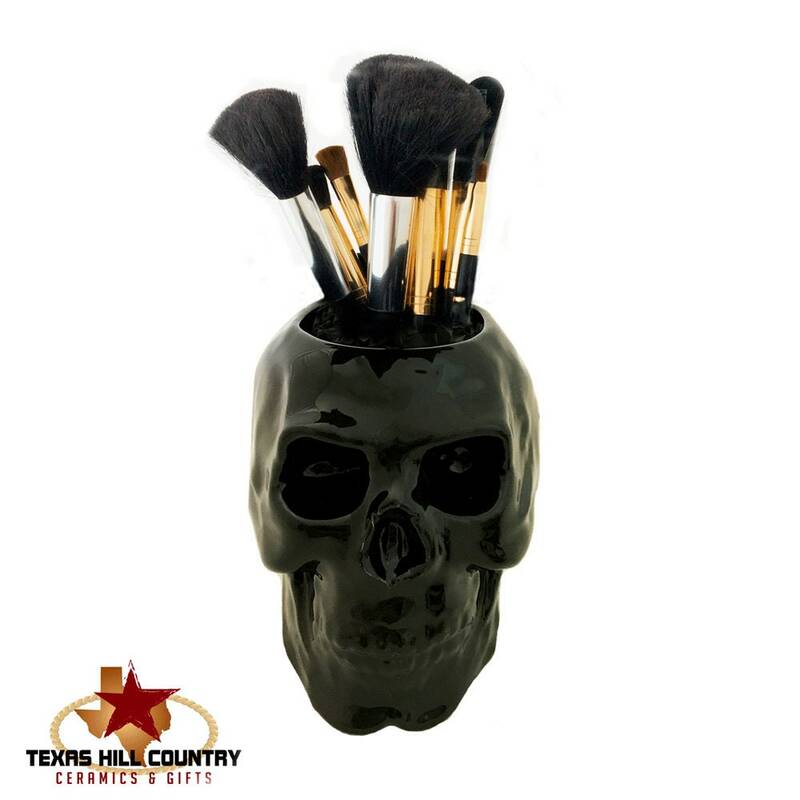 This black ceramic skull is designed to be used as a holder, use it for toothbrushes, makeup brushes, pencils or pens, even small tools used at a work bench, desk, vanity or it can also be used as a pot planter for live, dried or silk plants. Use it in the kitchen on the counter to hold teaspoons. 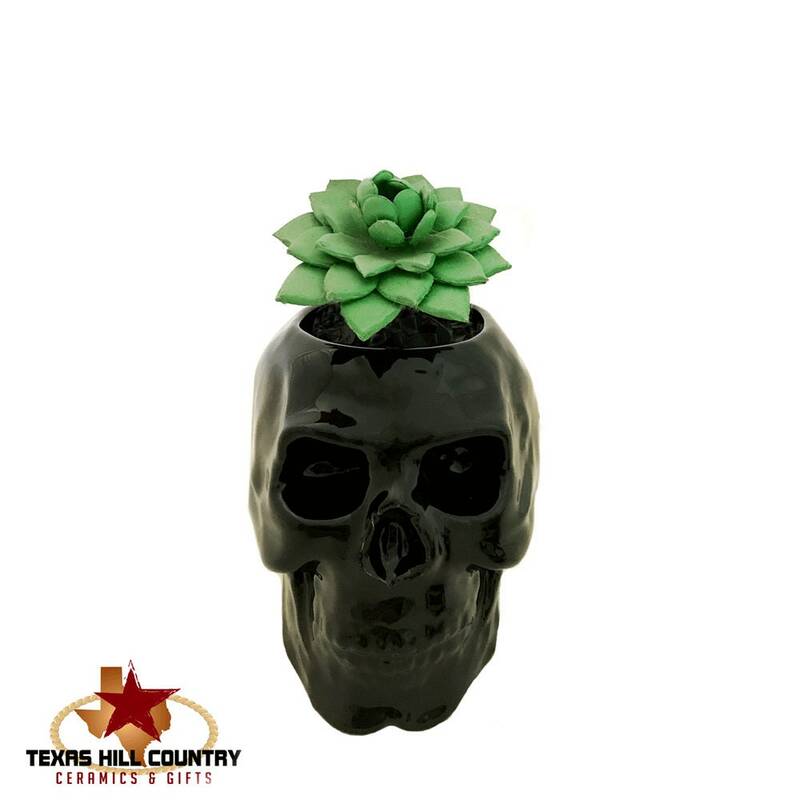 This black ceramic skull is perfect for adding a creepy look to any area of the home or office. 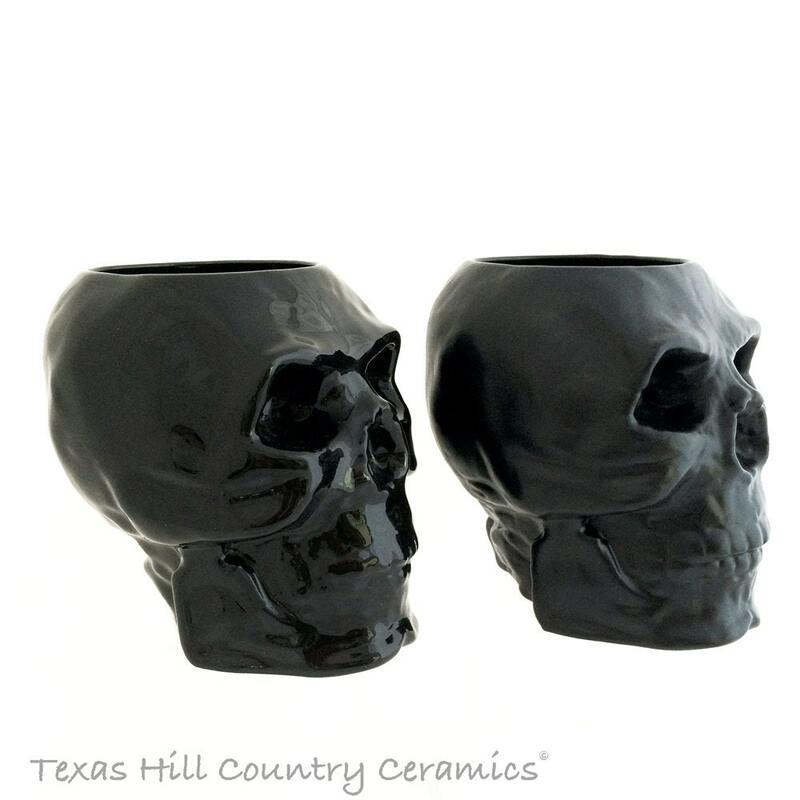 This black skull is available in black gloss or black matte finish, you can make your choice at checkout. 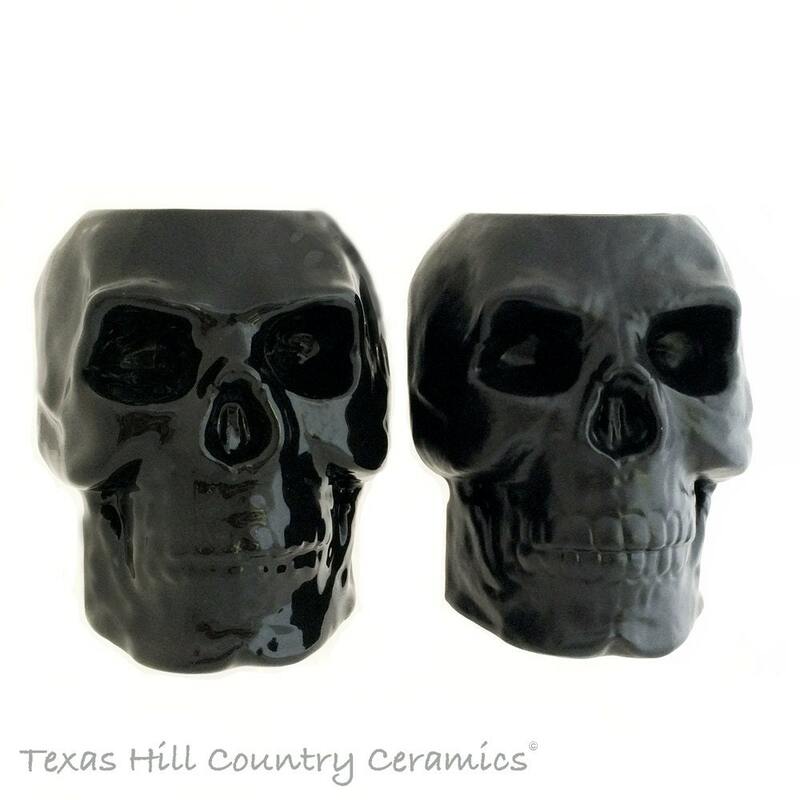 The black skull is made of slip cast earthenware and a plaster casting mold. The skull is altered before being kiln fired. 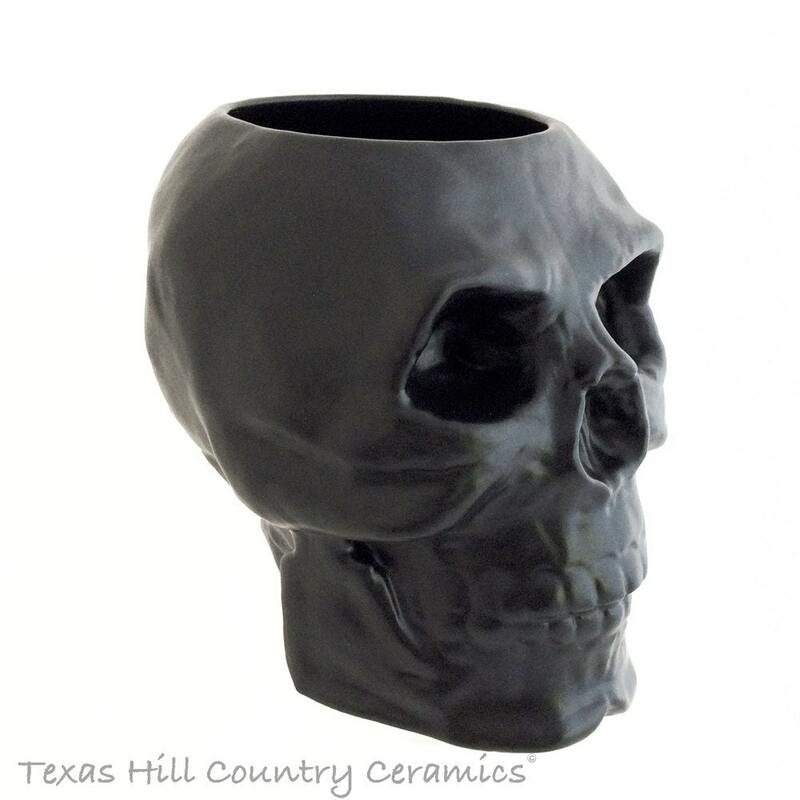 This dark color skull is finished in a lead free black glaze. 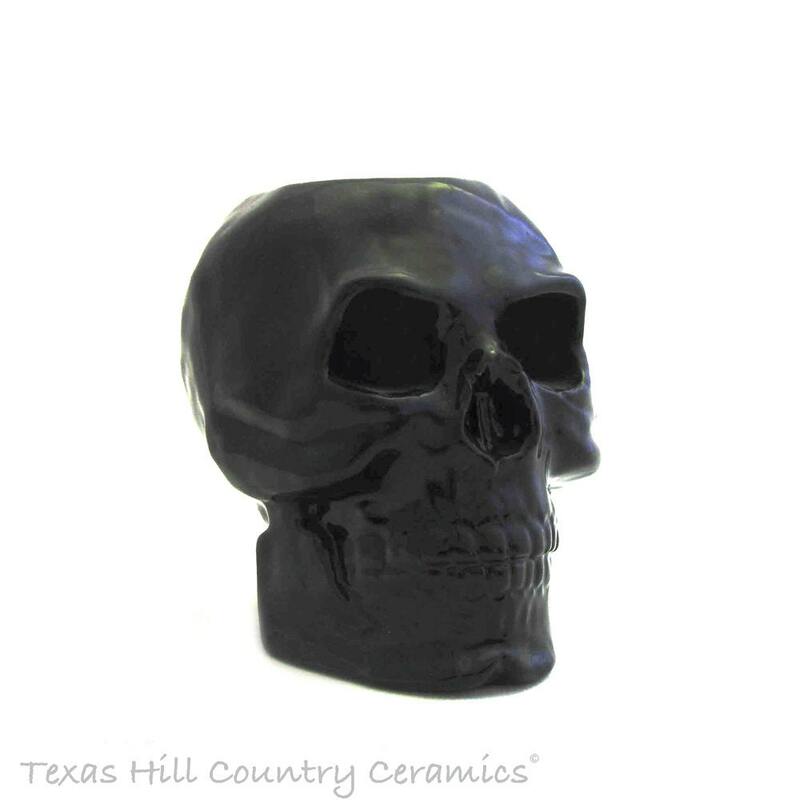 The glaze used is non-toxic, the skull is also glazed inside with the same gloss black glaze sealing the entire piece for added life. • it holds approximately 12 ounces of liquid. 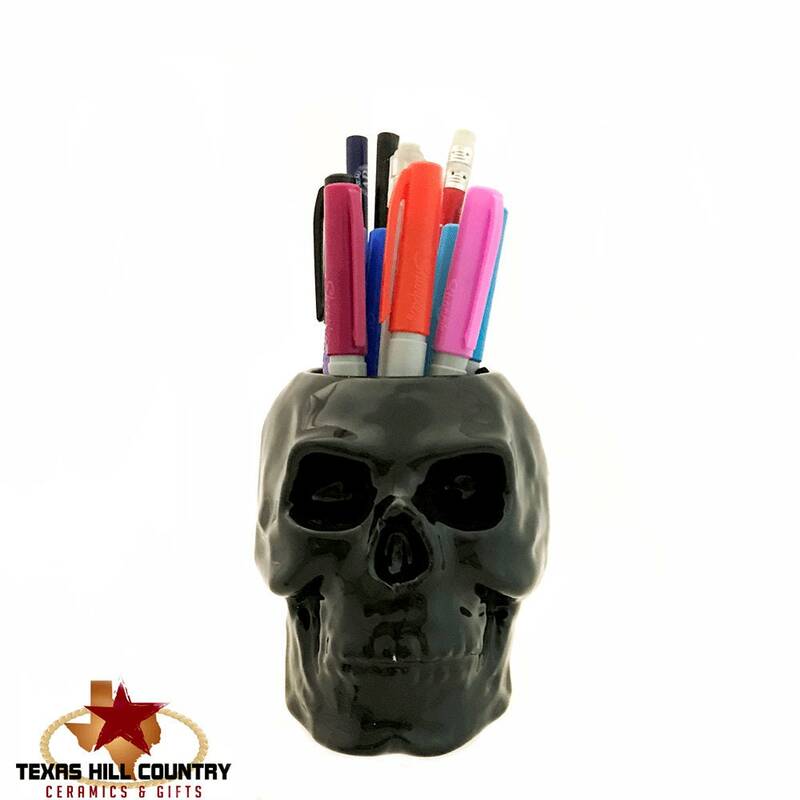 This black skull holder is made for fun, what better way to add a little creepiness to any Halloween party setting. Coordinating items available including a skull cup, pump dispenser, skull plate, skull salt & pepper shakers, skull tea bag holder and more. Also available in a variety of colors. each color is individually listed in my shop. Not only was she IMMEDIATE to rectify an over shipping charge(Etsy’s fault) she got this package to me in a flash. Like, I have no idea without overnighting it, how the heck she got it here that fast. Thank you. Well-made and exactly what I needed for my desk at work. Thanks! I am absolutely in love with my ceramic black skull! Amazing quality. I will definitely buy things from this store in the future. Nicer than I even anticipated. Very happy.